From humble beginnings, the charity was launched in November 2016, and now receives a huge number of donations. 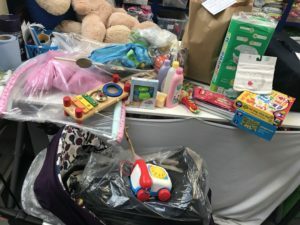 Bundles of Joy has now established strong links with a wide range of agencies such as Social Care, Citizens Advice Bureau, Children’s Centres, Health Visitors and Housing amongst others. These agencies are now referring families on a regular basis, and there is no shortage of equipment for us to pass on to needy families. 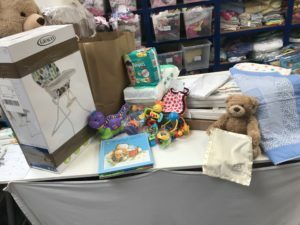 Bundles of Joy, a specialist baby charity, is here to bridge the gap between those who have items to donate and the families who would welcome them. 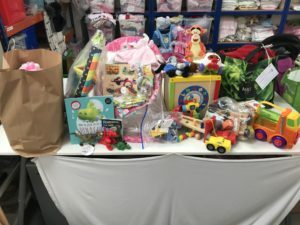 We collect and distribute not only baby clothing but any baby items which can be reused, such as toys, blankets, prams and Moses baskets. 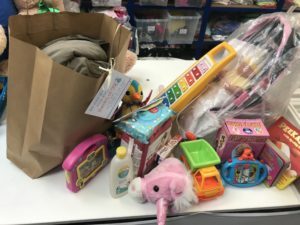 We also collect toys and clothing for older children which helps families manage their limited budget better. We are also known as a haven for accessing emergency equipment when it is needed following an event that wasn’t anticipated.